Maria and I have been living in our “new” house now for just over 9 months. We love our home and everything about it, even its little idiosyncrasies (like the far-from-perfect DIY electrical wiring and plumbing). One thing that we don't love is the fact that we had to take out a mortgage to purchase our home. 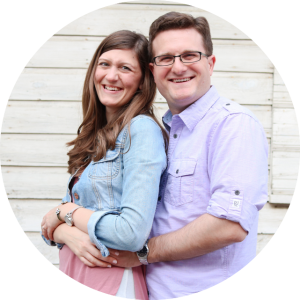 We were debt-free before we bought the house and had gotten used to a life without debt. It's also why we have a new goal of paying off $10,000 extra in our mortgage principal in 2019 because we want to be debt-free again as quickly as possible. 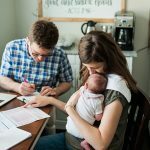 We've already made good progress in paying off the mortgage in our first 9 months, so we thought we'd review how far we've come and our hopes for the future. I know that Maria and I bought our house seemingly out of the blue. 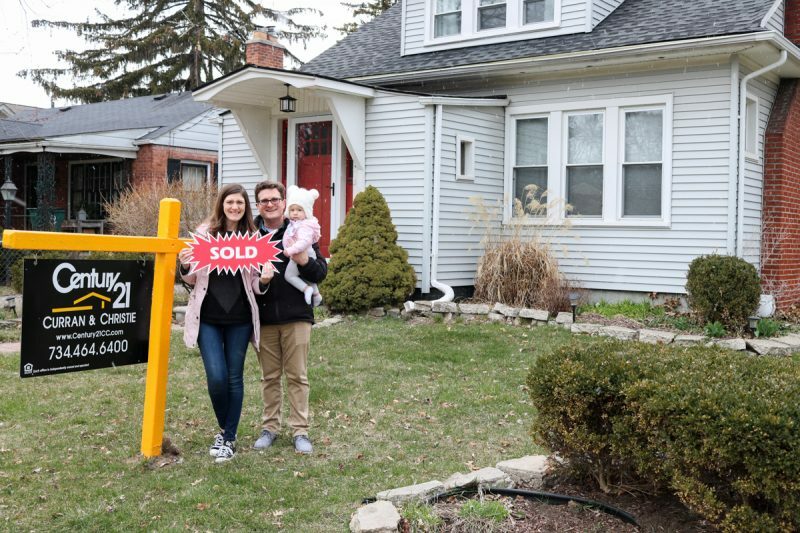 And it is true that the process of buying our house happened somewhat quickly, but we spent three years saving for a down payment while we rented. 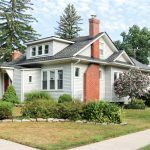 Then, last spring, when we were ready to consider home ownership, we spent a few months discussing whether we should buy a house and, if we did, whether we should use a mortgage. 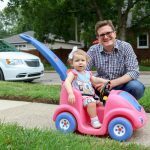 We seriously considered buying a very small starter house with only the cash we had saved up, but we eventually decided that it was best for our family to get a bigger house now with a mortgage, despite our desires to avoid debt. That doesn't mean that we abandoned Dave Ramsey's advice on home buying and mortgages, though. ONE: The best way to buy a home is straight cash that you have saved up. TWO: If you can't afford to do that, then get a mortgage, but only under certain conditions. First, get a 15-year mortgage, not a 30-year mortgage. Second, put at least 10% down, but 20% down is even better because it means you don't have to pay for private mortgage insurance. 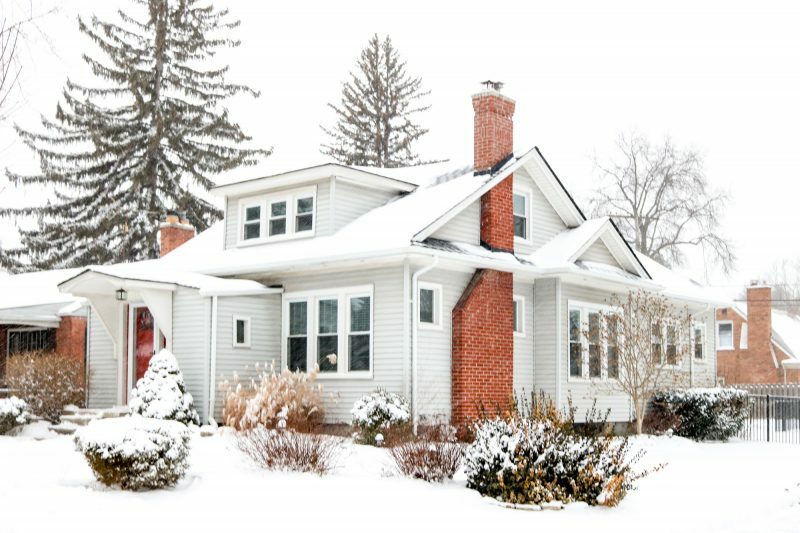 Third, make sure that your monthly mortgage payment (including principal, interest, property taxes, property insurance, and private mortgage insurance) is less than 25% of your monthly take-home pay. Keeping all that mind, Maria and I moved forward with our mortgage and the home-buying process. We got a 15-year, fixed-rate, $110,000 mortgage with a 4.25% interest rate. We had been saving like crazy and were able to put a down payment of 66% of the purchase price. And our monthly minimum mortgage payment was under 25% of our monthly take-home pay; in fact, it was about $335 cheaper than our monthly rent payment for the house we lived in at the time. Since we closed on the house, we've been pretty aggressively paying down the mortgage (though not as aggressive as my student loans, since we're now working on three baby steps at once). First, we kept on paying our same old monthly rental rate on our mortgage payment. Which means that we're paying an extra $335 per month towards principal on our mortgage. That extra payment alone, if we were to keep doing only that, would shorten our mortgage by nearly 5 and a half years and save us about $14,700 in interest payments. But we're doing more than that. 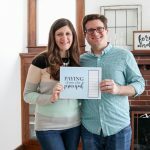 As I mentioned in an earlier blog post, Maria and I have been saving a portion of any extra money we earn from the blogs (after we take our salary and pay taxes) for our mortgage payment. With that extra money, we've been able to put some extra money toward our principal. So what started out as a $110,000 mortgage in April of 2018 is now a $99,700 mortgage; which means we've already paid off $10,300 of our mortgage! If we'd stuck to the minimum monthly payments, our mortgage principal right now would still be $106,400, which means we paid off an extra $6,700 in mortgage principal last year. By making those extra principal payments, we've already shaved a year off our mortgage and saved ourselves $5,000 in interest and that number will just keep rising as we progress. If Maria and I keep up at this pace, we will be able to pay off our mortgage in 6 or 7 years. (That's another totally crazy, completely amazing fact.) And frankly, we're hoping to do it even faster than that. We hate the cloud of debt that's currently hanging over our heads and paying off the mortgage will finally free us. This time, for good. We already pay an additional $335 a month. When you multiply that by 12 months, it brings us to an extra $4,020 toward our principal. So where will the remaining $5,980 come from? We've decided to make the mortgage a priority on our tax return and are hoping for a tax refund that covers the difference (or at least gets us close!) As business owners, we're never completely sure what to expect when tax season arrives so we always try to conservatively overpay to avoid a large, unexpected bill from Uncle Sam. We are hoping that our overestimates will pay off for us (and our mortgage) this year. 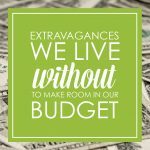 And if the tax return is not enough, we'll have to take a look at our monthly budget and make some extra sacrifices in order to make up the difference. And it will be pretty easy to check if we've met our goal come December of this year. With the minimum monthly payments on our mortgage, our remaining principal in December would be $93,900. So that means we need to have a principal of $83,900 or less to meet our goal. I can't wait to watch those numbers tick down! We've found that the best way to stay charged up about our goals is with a constant visual reminder of what we are working toward. 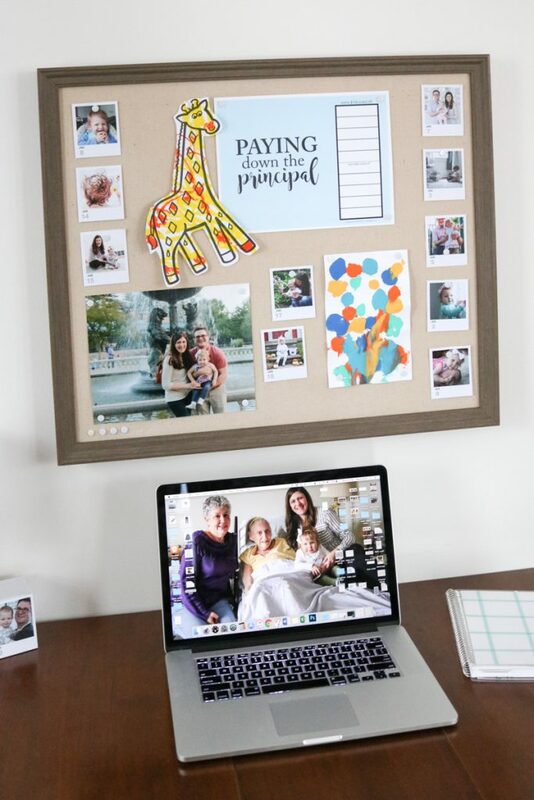 When we were working to get out of debt the first time around, we printed a debt-free chart that Maria created to help track our progress and stay motivated along the way. Now that we're working to pay down our mortgage, Maria created a new chart specifically for our mini-goal of paying an extra $10K toward our mortgage this year. We printed our chart onto heavy cardstock and posted it above our desk as a constant visual reminder of what we are working to accomplish. We cannot wait to color in our progress as we work to pay down our mortgage principal. 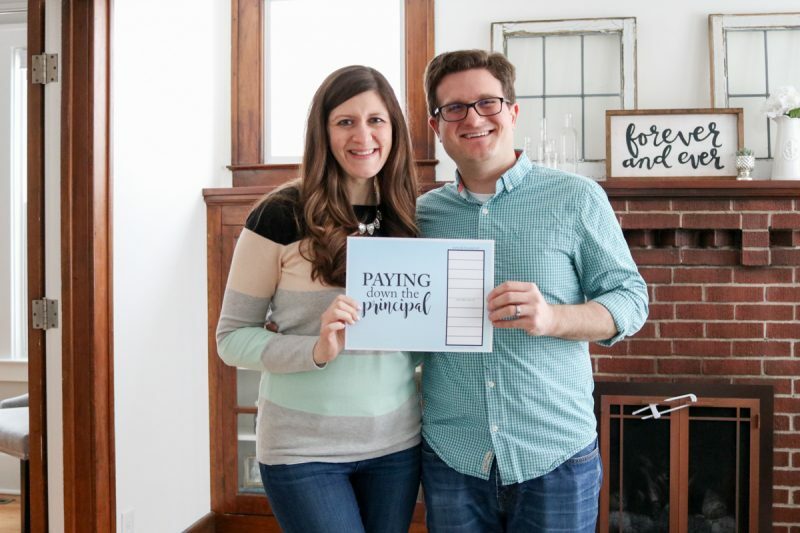 You can download a FREE “Paying down the Principal” chart, too, and join us on our journey out of debt. There's even an editable version included in the download so you can customize the chart to fit your own financial goals. Click the image below to access your free chart! If you use our chart, we would love to hear about it! Feel free to leave a comment at any time or tag us (@crazytogetherblog) in your Instagram photos. We always love to hear about your progress so we can cheer you on! I always love the idea of the charts but I never know how to account for the interest. Right now I’m paying off my student loans but they are constantly changing due to the interest – how do I display that on the chart? Do I just aim for a dollar value and never change it? We don’t factor interest into the chart at all; it’s only about the principal. I did have to do some projections to see what our principal would be in December if we only made the minimum payments, but it was pretty straightforward for our mortgage because the interest is fixed, not variable. Are you able to tell how much of your monthly payment goes to your principal on your student loans? 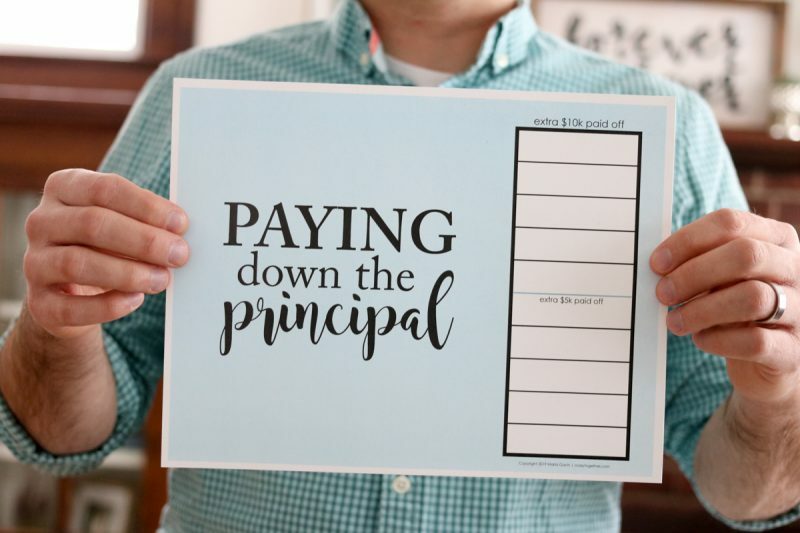 If so, you can easily project how much principal you will have left in December by multiplying that by 12 and subtracting that from the principal outstanding in December of 2018. Hopefully that make sense, I’m happy to email directly with you if you want to talk more about it. Thanks! I’ll take a peek, I have a gradual loan but it breaks it all apart so I should be able to figure it out. Love your blog and your house! Wondering how you decide to pay off mortgage instead of investing? My mortgage is 3.5% and the index fund I invest in has been returning 8% over the last few years. I could easily pay off my mortgage, however I have always chosen to invest and make a profit on the interest instead, and also have the tax benefit of the mortgage interest deduction (don’t know how this will change with new tax laws). Also, wondering how you adjust for inflation over 15 or 30 years in a decision like this? Have read a lot about this and guess it is more of a personal preference thing. I have never had debt other than mortgage, so maybe I am unusual in feeling that mortgage is not alway a bad debt! Thoughts? Honestly, we haven’t put that much thought into it. Don’t get me wrong, we are investing. At least 15% of our monthly income is going to our retirement and we’re also saving for Dessa’s college and even her wedding. Our thought process has been to pay off the mortgage and then we can increase our investments and savings even more from there. Dave Ramsey, whose advice we follow, does agree that mortgages are not as bad a debt as other forms of debt, but he’d rather not be in debt at all. And we agree. So we’re paying off the mortgage and then will take that money were spending on our monthly payment to boost our savings. Thanks, Gail! We really hope to hit that goal early, too. We’ll see what happens, though.